December 13, 2018 Posted 2019 calendar, and updated contacts. January 2, 2018 Updated blog, calendar, and officers. July 7, 2017 Updated Trophy Sponsors on Rose Show page. December 29, 2016 Uploaded 2017 Rose Care Calendars to Rose Care Info page. December 18, 2016 Uploaded 2017 Calendar of Meetings and Events. November 10, 2016 Posted complete list of 2016 rose show winners and photos. April 15, 2016 Added two more videos to our Rose Care Info page. February 12, 2016 Updated Rings Around the Roses page with many new photos. January 9, 2016 Completely refurbished our Rose Gallery page. December 31, 2015 Continuing to upgrade graphics, photos, and page sizes throughout site. December 19, 2015 Added new XML-Sitemap for Google Web Tools. December 18, 2015 Updating graphics and page size throughout site. December 14, 2015 Added page featuring the Mesa, AZ District Convention Winners. September 22, 2015 Added Media Release for Rose Show. July 29, 2015 Added photos to article on the Peace Rose. July 29, 2015 Updated Links page. July 28, 2015 Updated Rose Show page. December 27, 2014 Posted 2015 updated Member Join Form. December 27, 2014 On Sitemap, posted links to Rose Show Winners 2008 through 2014. December 27, 2014 On Sitemap, posted list of Articles Published in Rose Ecstasy 1992-2014. 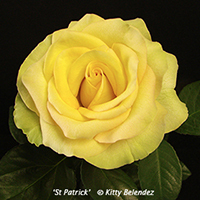 December 19, 2014 Posted photo and announcement of Kitty's 'Glitter Girl' floribunda sport on Blog. December 16, 2014 Technical difficulties continue with Homestead so our website is sluggish and very difficult to update. They are working on transferring data to new servers. Please bear with us. January 7, 2013 Update the About Webmaster page. June 29, 2012 Updated Pacific Southwest District History page. June 8, 2012 Added new page titled "How to Prepare Rose Cuttings for Mailing"
May 21, 2012 Added new page titled "Protect Yourself in the Rose Garden." May 17, 2012 Added new page titled "Show Off Your Dazzling Rose in a Bowl"
March 26, 2012 Announced availability of book "Growing Roses in SCV"
March 6, 2012 Updated the Events Calendar, see March, April, and May. February 23, 2012 Updated the Events Calendar, see March, April, and May. December 1, 2011 Added new article by Kathy DeRoo "Back to Your Roots"
November 20-21-22, 2011 Optimizing all web pages throughout site. November 7, Added new page listing our Rose Show Winners with many photos. August 30, 2011 Added our Rose Show Floor Plan to our Rose Show page. August 29, 2011 Added our 2011 Rose Show Schedule to our Rose Show page. August 28, 2011 Added new photo of Rose Mosaic Virus to Rose Pests page. May 7, 2011 Added a link to our new video "Rejuvenating Potted Roses"
April 12, 2011 Uploaded our Rose Auction Catalog. See the link on our Calendar for May 15. March 21, 2011 Added downloadable information about our Rose Garden Tours to our Calendar. March 1, 2011 Added info and photos about the Kale Garden to Our Gardens. February 23, 2011 Added photo to China Rose page. February 17, 2011 Updated format, links, and communication. January 31, 2011 Updated our 2011 Events Calendar with information about our garden tours. December 3, 2010 Added our new video on "Preparing Fortuniana Rootstock for Rooting"
October 13, 2010 Added our Facebook link on index page. September 20, 2010 Posted Rose Show Floor Plan to Rose Show Page. August 18, 2010 Updated Rose Show Trophy Sponsors page. August 17, 2010 Must now make software updates from online Homestead Editor, X upper right. August 16, 2010 Now have ability to make minor text updates from Mac. June 1, 2010 Updated the Miniflora page. June 1, 2010 Updated information on the Pacific Southwest District archives. May 27, 2010 Added more photos to Degnan and Maness Gardens on Our Gardens page. May 3, 2010 Added report on our Rose Auction to Kitty's Rose Blog. April 30, 2010 Added Degnan photos to Our Gardens page. March 19, 2010 Updated Events Calendar with garden tour info. March 16, 2010 Updated Events Calendar with Scott Klittich photo and info. February 2, 2010 Updated Events Calendar for April, May, and November events. December 8, 2009 Updated About Webmaster page. December 3-4 Performed SEO, updates, and maintenance throughout site. December 4, 2009 Added information and forms to the Consulting Rosarian page. December 1, 2009 Updated the Links page. November 16, 2009 Added the list of Pacific Southwest District Judges to Rose Show page. November 16, 2009 Updated Kitty's Rose Blog, photos from National Rose Show, Palm Springs. September 1, 2009 Added link to SCVRS Facebook Page on the links page. April 28, 2009 Added Cadman and Correnti photos to Our Gardens page. February 4, 2009 Updated Rose Show page with new details. December 16, 2008 Updated the Contacts list of new rose society officers & directors. October 17, 2008 Added photos of our Rose Show. September 26, 2008 Added more photos to "Mini-Flora Review"
September 19, 2008 Added "Know Your Friendly Pesticides"
September 19, 2008 Added "pH and Pesticides"
September 19, 2008 Added "About Noisettes"
September 19, 2008 Added "About Portland Roses"
September 18, 2008 Added "The Magic Water Wand"
September 18, 2008 Added "St. Patrick"
September 18, 2008 Added "Rose de Rescht"
September 17, 2008 Added "Why We Show Roses"
September 16, 2008 Added "About Species Roses"
September 16, 2008 Added "About Moss Roses"
September 15, 2008 Added "Descanso Gardens: Ranchero to Rosarium"
September 14, 2008 Added "Yellow Lady Banks"
September 13, 2008 Added "About Polyanthas"
September 13, 2008 Added "10 Principles of Rose Pruning"
September 12, 2008 Added "Understanding the Bloom Cycles of Roses"
September 12, 2008 Added "The Deep Deadhead for Fall Blooms"
September 11, 2008 Added "A Dietary Roadmap"
September 10, 2008 Added "Water and Roses"
September 10, 2008 Added "All That They Can Be"
May 30, 2008 Updated Fabulous Floribundas page with new photos and revised text. February 6, 2008 Added How Much Space Do Roses Need? February 5, 2008 Added Gold Medal for Rose Ecstasy. February 5, 2008 Added Awards of Merit. January 31, 2008 Updated Rose Show info. May 24, 2007 Added link to Sigalert (traffic advisory) at bottom of home page. July 13, 2006 Updated Rose Show page. March 1, 2006 Upgraded Join Form to online typeable format. February 26, 2006 Revamped all graphics throughout site. February 3, 2006 Updated Miniatures page. February 2, 2006 Updated Rose Recommendations page. January 31, 2006 Updated Rose Show page. January 30, 2006 Updated Sponsors page. December 1, 2005 Added more photos to the Hybrid Tea page. November 29, 2005 Added more photos to the Polyantha page. May 20, 2005 Added new photos to Hybrid Tea page. April 27, 2005 Added photos of the Gubert and Parsoneault gardens. April 13, 2005 Added Rose Garden Tour information. February 7, 2005 Updated our Commercial Sponsors list. February 3, 2005 Added links to newspaper articles featuring our rose show. January 14, 2005 Updated copyright notice on all pages. September 7, 2004 Updated our Awards of Merit list. June 10, 2004 Added "Qualifications to be a Consulting Rosarian"
June 1, 2004 Added "The Right Amount of Water"
June 1, 2004 Added "Requirements for Becoming a Rose Judge"
February 4, 2004 Added photo of root gall to "Rose Pests"
December 17, 2003 Updated Events Calendar and Contact Us pages. November 17, 2003 Added page "A Rose Cooler for Our Mini-Van"
October 23, 2003 Added page for our booklet "Growing Roses in Santa Clarita Valley"
September 5, 2003 Added more photos to the Moore, Saville, and Winchel pages. June 20, 2003 Added link to UC Davis for source of virus-free rootstock. May 13, 2003 Added "Quick California Compost"
May 9, 2003 Added "Sophisticated Singles"
April 30, 2003 Added an improved Google Search to specifically search our web site. April 30, 2003 Added "How to Produce a Successful Rose Show"
April 29, 2003 Added "Placement & Clerking At-a-Glance"
April 25, 2003 Added "Frank Strickland: Amateur Hybridizer Hits AARS Jackpot"
April 24, 2003 Added "The Glorious Roses of Joe Winchel"
April 23, 2003 Added "Harmon Saville and His Magical Minis"
April 23, 2003 Added "Ralph Moore: Pioneer of Rose Breeding Frontiers"
April 23, 2003 Added "Mildew Malady"
April 23, 2003 Added "MIXMASTERS: Natural/Organic Products for Roses"
April 23, 2003 Added "Organic. What's In A Word?" April 8, 2003 Added "Southern California Mentor Exhibitors"
April 4, 2003 Added "Let's Get Digital"
April 3, 2003 Added "Our Rose Shows"
April 3, 2003 Added "The Submersible Pump"
April 2, 2003 Added "Raising Minis to New Heights"
April 2, 2003 Added "Magic Elixirs"
April 1, 2003 Added "Tea Roses and the Landscape"
March 28, 2003 Added Google Search at top of SITE MAP and at bottom of HOME. March 27, 2003 Added SITE MAP to all pages. March 26, 2003 Added "Exhibiting Old Garden Roses"
March 26, 2003 Added "All Rose Shows are NOT Created Equal"
March 24, 2003 Added photo of baby seedling to "How to Grow Roses From Seeds"
March 21, 2003 Added our May 10th Garden Tour information to the Calendar page. March 20, 2003 Added List of Roses to be offered at our May 4th Rose Auction. February 25, 2003 Added link to Rosemania Spray Reference Chart to the Rose Info page. February 21, 2003 Added "Flying Roses to the Rose Show"
February 21, 2003 Added "Packing Large Roses in 80-Quart Cooler for Flying to Shows"
February 20, 2003 Added four new photos to "Hybrid Teas"
February 18, 2003 Added two new photos on "How to Grow Roses From Seeds"
February 10, 2003 Added illustration of Anatomy of a Rose to "Growing Roses from Seed"
January 31, 2003 Added Bob Martin's list of Top Exhibition Roses 1998-2002. September 12, 2002 Added Hayes, Stage, and Belendez gardens to "Our Gardens"
September 5, 2002 Added "Yikes! It's Scale Insects"
September 4, 2002 Added the "Minimalist Rose Care Calendar" for lazy gardeners. September 4, 2002 Added photo of Hilde and other minis to "Versatile Miniatures"
August 29, 2002 Added several more photos to "How to Grow Roses from Seed"
August 5, 2002 Added "Favorite Polyanthas"
July 15, 2002 Added 12 more photos to "Roses That Climb"
July 10, 2002 Added photo of the Sheets Rose Garden. July 1, 2002 Added "Hybrid Teas: Queen of Modern Roses"
June 26, 2002 Added "About the Webmaster"
June 24, 2002 Added new page and photos on "How to Grow Roses from Seed"
June 21, 2002 Added "Our Rose Gardens"
June 17, 2002 Added many photos to "An Overview of Rose Pests"
June 17, 2002 Added the "What's New Page"
June 13, 2002 Revamped the "Exhibitor's Rose Garden"
June 10, 2002 Added new Links Page, added new links and descriptions of all links. June 7, 2002 Added photos to "Exhibitor's Grooming Kit"
June 3, 2002 Added "That Wonderful Rose Named Peace"
June 3, 2002 Added "Roses That Climb"
June 3, 2002 Added "Fragrance in Roses"
May 31, 2002 Added "How We Built Our Misting Box" page, article and many photos. April 17, 2002 Added "Winning With Shrubs"